Congressman Danny Davis speaking about the fatal shooting of his 15-year-old grandson. CHICAGO (WLS) -- The son of U.S. 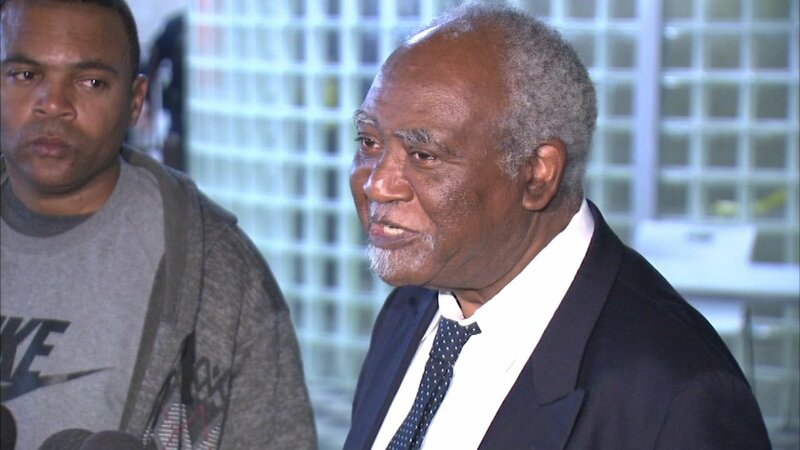 Congressman Danny Davis (D-Chicago) was found dead Thursday night, a spokeswoman for Davis confirmed. Stacey Wilson, 44, was found dead in his home in Chicago and no foul play is suspected in his death, the spokeswoman said. Wilson was a diabetic and had recently been hospitalized. An official cause of death has not been determined. "Stacey had been complaining of high blood pressure and as of now we do not know the cause of death," Davis said in a statement. "Funeral services are pending. My family and I appreciate the condolences and expressions of concern which had been expressed. Last November, Wilson's son and Davis's grandson, 15-year-old Javon Wilson, was killed while trying to break up a fight. Two teens were charged in his murder.